For Belmont alumna and local business owner Christi Beth Adams, running is a way of life. 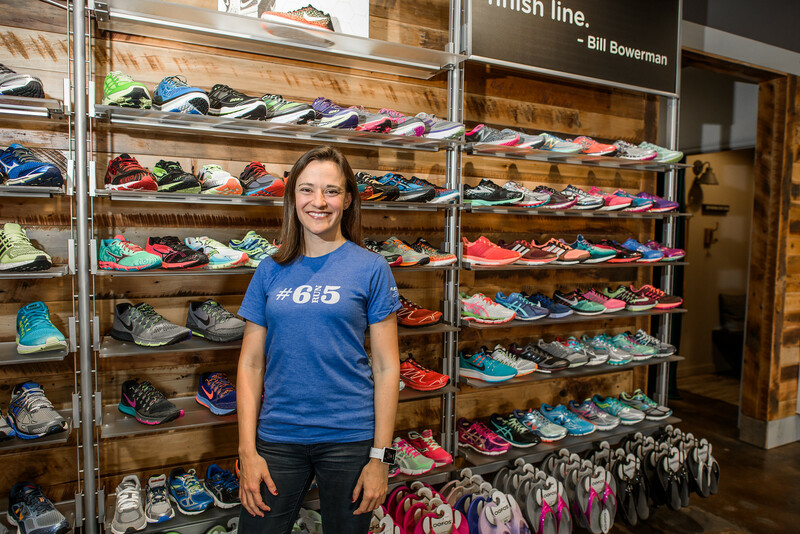 Whether she’s running the day to day operations of her two Fleet Feet Sports stores, running one of the many training programs the organization offers or tossing on a pair of her favorite running shoes and taking off for a long-distance race, Adams said running has always been a part of her identity. While studying psychology and business marketing at Belmont before her graduation in 2002, Adams ran track and cross country along with being a member of Fellowship of Christian Athletes, among other things. As an involved student, Adams said she had a plan of what post-graduate life would look like—working her way up the corporate ladder in advertising, ultimately leading to an executive level position in the industry. After landing a job in her field, Adams said she wasn’t fulfilled in ways she expected, and her suits and high heels were swapped for running shoes and retail. After traveling around the country for jobs in the fitness industry, Adams moved back to Nashville in 2006 and got a job at Fleet Feet. Thanks to being “in the right place at the right time with the right skill set,” Adams said she took advantage of the organization’s newly created employee to ownership program and was able to acquire the store in Jan. 2011. Thanks to a healthy industry, growing community and Adams’s success, she was able to open her second Fleet Feet location in Nov. 2013. Adams’ career has brought many accolades including her recent receipt of Nike’s 2015 “Just Do It Award” in recognition of her hard work to further the fitness industry. The award celebrates female leaders who create a positive impact on the running sport through business savvy, community involvement and team leadership built on honesty and integrity. Though her Nike award will remain a career win for Adams, it’s not the highlight she looks to most. Adams said the best part of her job is providing customers with the tools they need to accomplish their fitness goals and having the opportunity to develop fantastic employees who love what they do. “Whether someone works at Fleet Feet for eight months or eight years, I hope they can look back on their time and say they experienced great professional and personal growth,” Adams said.